The earthly yellow toy duck is still undefeated with its mysterious, repelling look perceived by Flakboy, as he keep falling for the traps and/or deadly weapons that leads him to his danger every time. 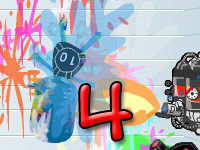 Flakboy 4 is the new and improved 4th sequel of the series of Flakboy games. Feel the difference and similarity of the game at the same time, as Flakboy 4 consist of upgrades to the previous features. More weapons, background, levels, game modes and much more is available in this sequel. The weapons developed by the scientists are not enough to bring an end to Flakboy, see if Flakboy can still survive the pain he will be run through. Flakboy is a strategy based game which requires crucial planning to develop the best method and/or tactics to proceed to the next level. 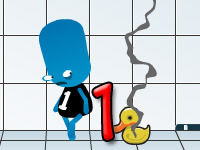 The game is about a weapon test program that occurs in a large lab and a blue, four eyed alien is used as a testing dummy. Try out all the various weapons and items to inflict the maximum damage on Flakboy and see what your weapons are capable of. Normal Mode: The usual gameplay mode which the game was originally based on and later was considered as an option. Although it may be an option, normal mode must be played in order to unlock the other game modes. 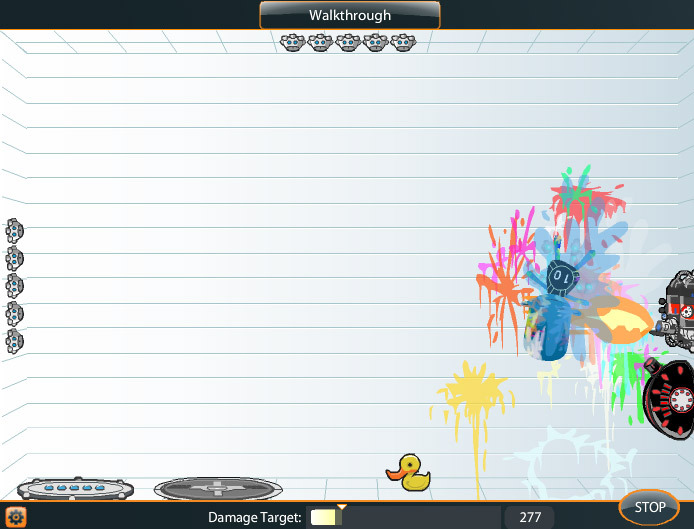 The objective is to deal a certain amount of damage to Flakboy before you can continue towards the next level. Sandbox Mode: This game play mode was made available from Flakboy 2, this is a completely perfect opportunity to practice your strategies and tactics to get a better understanding of the features in the game, this may not be available until all the game modes are completed and there may be no point in practicing after finishing the game, that is not true because you can keep practicing and as you understand the various new weapons and features, you will be able to increase the score and compete against your friends in gaining the highest scores. Apart from the fact it provides a place of practice, this mode is mainly provided to have fun in the game with no boundaries or goals, just test your weapons, take your rage on the blue guy whatever you want sandbox mode is there for this very purpose. Challenge Mode: From Flakboy 2, challenge mode was first available to play which offers a different objective of the game. 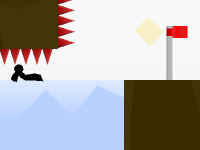 There are several levels in this mode and each has a different set of challenges to be completed. There are different additional images, videos and much more included in the gallery which may be very pleasing for the Flakboy fans, there are also several new achievement displayed during the game during playing the game in a certain way. Compete against your friends as you achieve these to prove yourself as the best in the game.